This was a fun ride made by people who also enjoyed the video game it's based on. 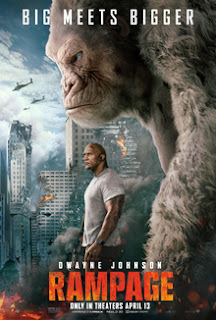 There are a lot of nods to the game, but really it's just a fun excuse to have giant monsters destroy a city with the Rock. Funny story Uve Boll was worried that this movie would harm his films series of the same name and was threatening legal action. The titles are the only thing in common. I have seen his trilogy, and they are doing an excellent job of harming themselves, besides he may get more views as unwary people may stumble on to his films looking for this one.